Ever take one of those “How Virginia?” or “How Richmond Are You” tests on Facebook? I know, not the headiest things in the world, but they can be amusing. And, what other opportunity do I have to showcase my secret knowledge about Hollywood Cemetery, hipster thrift stores, local craft beers, and the Byrd? I’m telling you, people, I know my River City trivia. 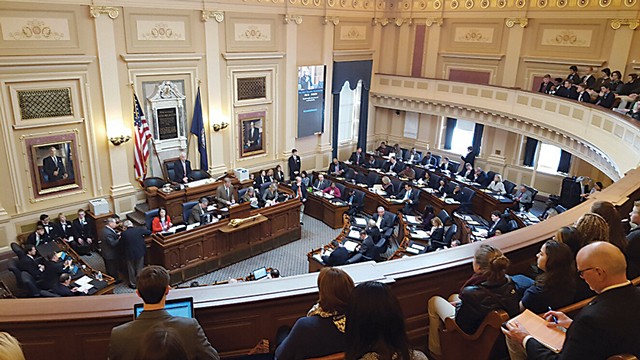 Not that Buzzfeed will ever focus on the Virginia Assembly, but I thought I’d give you a primer on how laws are made here in the Commonwealth’s legislature and tell you a bit about some laws that just went into effect. So Trivial Pursuit, River City Legislative Edition players, this is the Legal Ease you’ve been waiting for. Our legislative body is the Virginia General Assembly and is made up of the House of Delegates and the Virginia Senate. Its members are elected by people residing in their respective districts. Annual law-making sessions start in January each year, running either thirty or sixty days, depending on if it’s an even or odd-numbered year. Finally, here’s one for you diehard social media trivia types: The General Assembly claims to be the “oldest continuously elected law-making body in the Western Hemisphere.” Now’s there’s a little tidbit you probably didn’t know prior to reading. Voters are now required to show photo ID prior to casting a vote in Virginia. Acceptable forms of ID include a Virginia driver’s license, a US passport, a student ID issued by a Virginia school of higher learning, or an employee ID. People who do not currently possess an acceptable form of ID may get one, free of charge, from their local registrar of voters. However, concerns about accessibility for poverty-stricken individuals, especially in rural Virginia, have been voiced by individual rights groups. The startup cost for the new law is $166,000, with annual costs projected to be $13,000. Like many other voter ID laws across the country, expect constitutional challenges in court. After the tragic death of a Chesterfield boy on the Fourth of July in 2013, the Virginia Assembly passed a law enforcing more stringent penalties on people who fire guns into the air in celebration or in another reckless manner. Anyone who injures or kills someone as a result faces stiffer prison sentencing. Seeking to deter individuals from celebratory firing of weapons, especially on the Fourth of July and New Year’s Eve, this law will hopefully help keep Virginians, especially our beloved children, safer. Virginians are no longer required to pay the $64 annual license tax on hybrid vehicles, and the state will provide refunds on taxes paid to register vehicles after July 1, 2014. The law, passed in 2013, was repealed after public outcry and reflects Virginia’s growing commitment to a sustainable future. In response to Virginia Senator Creigh Deeds’ family tragedy, emergency custody orders have been increased from six to twelve hours. Furthermore, if a private hospital bed is not found within eight hours, a state hospital is now mandated to admit the person under the custody order. This law is a strong effort to help Virginians get the emergency mental health care they need, protecting both patients and the public from harm. Virginia’s Standards of Learning system of standardized testing will roll out new requirements that cut back on the number of tests administered to students. There is legislative discussion to continue reducing the number over the next several years, but this current law eliminates five of the tests that used to be administered from third grade through middle school. As a driver, note that the minimum clearance required when passing bicycles has increased from two to three feet. Designed to protect cyclists, especially necessary on narrow city streets (this means you, Fan drivers), the law also applies to electric assistive mobility devices, mopeds, and animal-drawn vehicles. Virginia has joined many other states promoting the regulation of electronic cigarettes. Sale of e-cigarettes to minors under the age of eighteen is now prohibited, a win for the safety of children in Virginia. Whereas it was previously unlawful to hunt on Sundays in Virginia, now a landowner may hunt on his or her property on Sundays – and may allow family members or others with written permission to do so as well. There is one notable exception: still no hunting on Sundays within two hundred yards of a house of worship. So now you are in-the-know! At your next cocktail hour, or during a golf or Bunco game, you can hold your Virginia chin high over the heads of the sad-faced non-Legal Ease readers and stump them with your legislatively informed prowess. Previous articleTo Swaddle or Not to Swaddle?